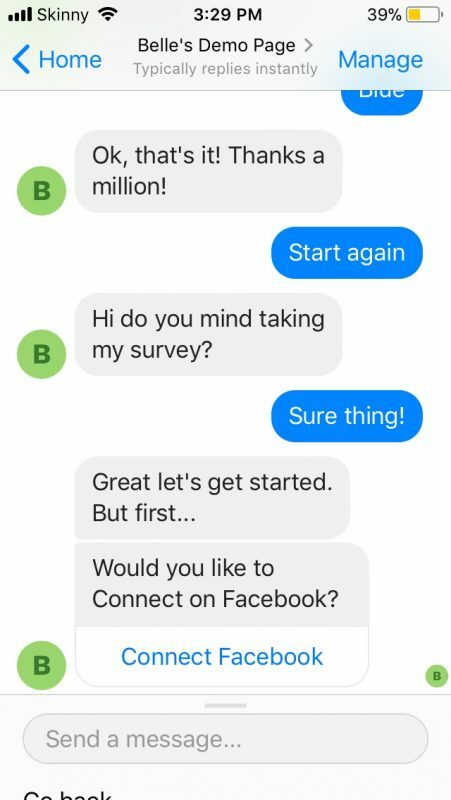 Surveybot enables you to build chatbot surveys and distribute them on the platforms your customers are already using. We are currently on Facebook Messenger and Facebook Workplace. 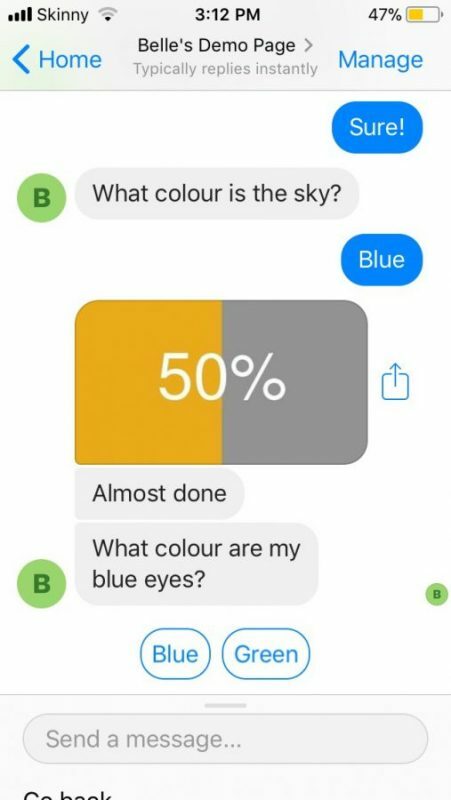 We are excited to announce the new chatbot survey features that allow you to create better online surveys so you can collect the responses you need faster and easier. Now you can retrieve your respondents’ Facebook profile fields at the start of the survey in ONE click. This allows you to quickly authenticate your respondents and receive better response rates. 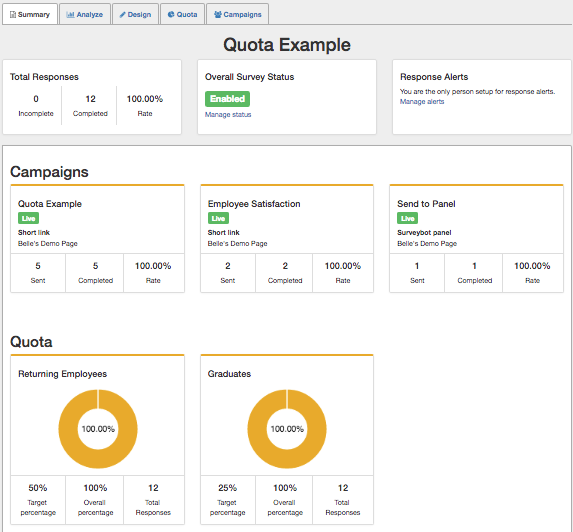 These allow you to track responses based on segments in your panel in real time. You can set quotum targets (Ex: 50% respondents are Male) and easily measure your effectiveness. This new feature allows you to view and understand your survey status faster, saving you time and effort. 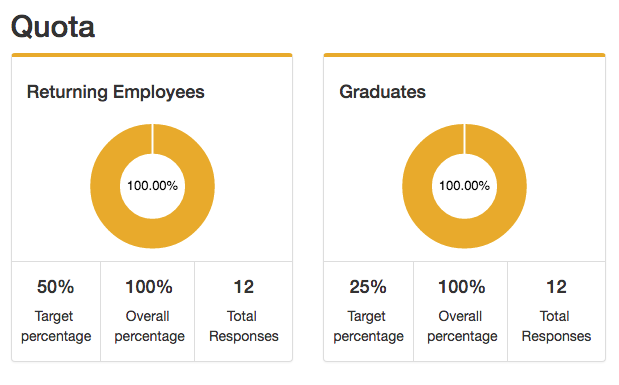 The dashboard provides an overview of all your live surveys so you can see the activity of each survey in one place. The progress bar shows respondents how far through your survey they are, which keeps respondents engaged and improves completion rates. Now you can require a respondent to fill out a registration form before taking a different survey. Their registration information is then saved so you will not have request it again in the future. You can set a time limit on your survey so that you do not receive responses after a certain day. This helps you improve the accuracy of your survey if you have time sensitive questions. 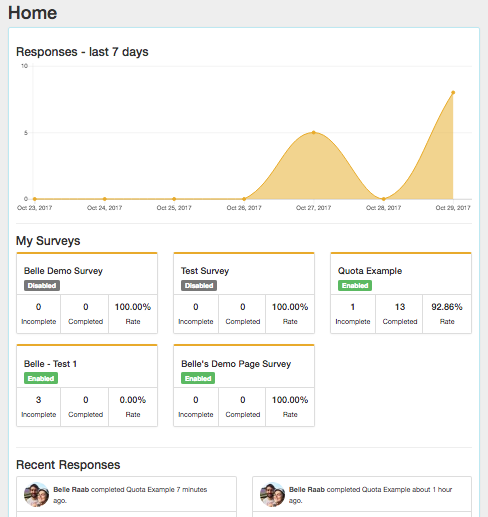 This feature gives your respondents more options on how they want to to engage with Surveybot. You can use messenger to let people unsubscribe in one click. Interested in a free trial? Sign Up Here. Your feedback, the good, the bad, and the ugly, matter to us! Send us your comments or questions.